According to sources a powerful earthquake has rocked the popular Indonesian holiday island of Lombok, killing at least 91 people, injuring hundreds of others and damaging thousands of houses. 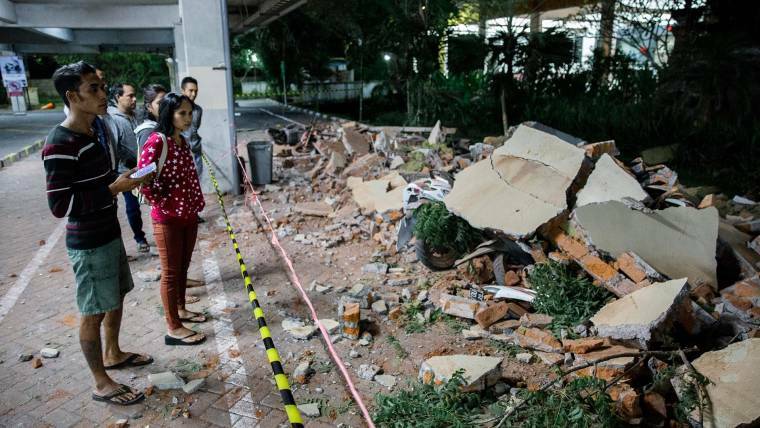 Meanwhile it’s believed no Australians have been injured in the quake and the magnitude 7 tremor struck just 10 km underground about 6.46 pm Jakarta time. Reports added it was followed by two lights to moderate secondary quakes and nearly two dozen aftershocks. Moreover Foreign Minister Julie Bishop has arrived in Bali, and says consular staff is being sent to Lombok to assess the damage and assist Australians who might need help. Indonesian National Disaster Mitigation Agency spokesperson Sutopo Purwo Nugroho has posted images of evacuations in the Gili islands where there are an estimated 1000 domestic and foreign tourists. Furthermore the latest quake, which triggered a brief tsunami warning, damaged buildings as far away as Bali’s Denpasar, including a department store and the airport terminal. Authorities say that rescue officials said much of the damage had hit Lombok’s main city of Mataram, far from the main tourist spots on the south and west of the island. Moreover based on reports from West Nusa Tenggara’s disaster mitigation agency, 65 people died in North Lombok, nine in West Lombok, two in Central Lombok, four in Mataram, and two in East Lombok. Most of the victims died because they were hit by collapsing buildings.